3-1/2" Switch, FFM wooden track. Grooved on both sides. 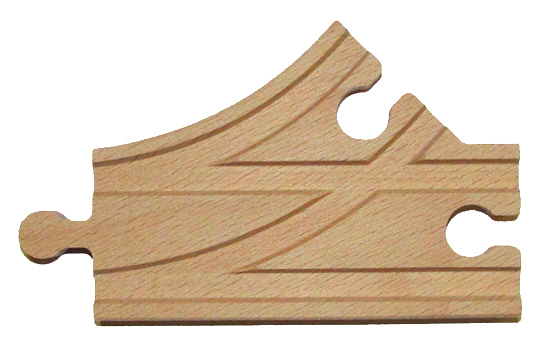 Use it to change directions of the wooden trains in tight and small spaces and expand on the wooden track collection you already have.